Do you know that without enough link authority, Google won’t give your site the required importance? Do you think that in spite of all your content marketing efforts, you’re just not receiving any such positive results? Have you been longing for the best way in which you can seek better results with regards to content marketing? If answered yes, you should check whether or not you’re committing any of the most common mistakes. Read on to know a shortlist of some of the most common SEO mistakes that you should avoid. Running behind ‘likes’ instead of links: If you’re still not incorporating SEO goals into it, your social media strategy won’t ever be inclined towards the right position. Remember that it is not the shares, retweets or the plus-ones that will push up your position in Google but it is all about the links. You need to bring on influential bloggers to link to your website and this should be a necessity for the social media campaigns that you create. Not placing content at the right place: When there’s remarkable content, it will definitely need a home where it will attract the largest number of links to the main site. The links should lead directly to your site and not to any intermediary site. Hence you should know where to place the content. Don’t think that a social site like Pinterest, YouTube, Twitter, Facebook or LinkedIn can only be the best place to position your content. Aiming at the wrong people: This should be tough to wrap your head around but if you’re already committing the mistake of aiming at the wrong audience, you’ll be soon lagging behind. From the perspective of SEO, the most vital audience is not only the customers but rather the online influencers who have the highest authority in the eyes of Google. 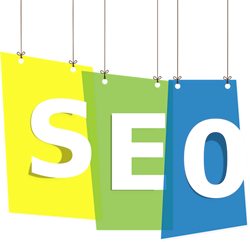 You will get the best benefit by targeting those can give a link back to you from trusted and authoritative sites. In case you’re simply writing good content, you’re missing out on a lot. Therefore, if you want to be a successful content marketer, you should avoid following the above mentioned mistakes. If you don’t have enough confidence on yourself, you may hire a professional who can guide you on content marketing techniques that are going to work.